Sixteen years after its introduction to the U.S. market, the Mercedes-Benz Sprinter van is more popular than ever. Corporate fleets outfit the Sprinter for everything from hotel shuttles to dog-grooming services, praising its enormous cargo space, impressive fuel efficiency and easy maneuverability. Increasingly, buyers are converting Sprinters for personal use as recreational vehicles, or simply a replacement in lieu of the traditional minivan. The Sprinter is notable for its narrow, high-roof styling. Most adults can stand up inside without trouble, and some versions are nearly 10 feet tall. It’s also available with two wheelbases, a standard 144 inches or the extended 170 inches. Buyers can choose from the standard 2500 trim or dual-rear wheel 3500 trim. The Sprinter is powered by a 2.1-liter turbo-diesel four-cylinder engine mated to a seven-speed automatic transmission, or a 3.0-liter turbo-diesel connected to a five-speed transmission. There is also a 4×4 option, though supply is low and buyers typically wait several months before taking delivery. Originally sold under Daimler’s heavy-duty Freightliner brand, the Sprinter also carried the Dodge moniker when the German automaker owned Chrysler. 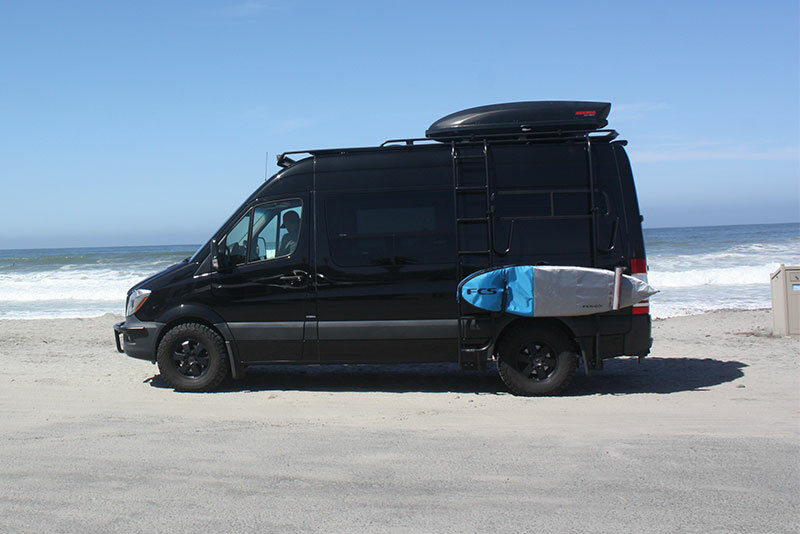 Starting in 2010, Mercedes decided to market the Sprinter itself, and the van has taken on new life. More than 26,000 Sprinters were sold in 2016. While that isn’t tops in the large-vans segment, management at Mercedes-Benz Vans — which oversees the Sprinter and smaller Metris — foresee plenty of room to grow. Construction is currently underway on a $500-million plant that will produce the next-generation Sprinter in North Charleston, S.C., by the year 2020.